A molecule gateway invites entry into the light of the astral realm. There, the journey begins through a grand, vignette banquet created to fill your hearts with wonder. This thought-provoking series of vision narratives, coupled with acutely sensitive Illustrations painted by a master artist, conveys diverse cultural and spiritual philosophies from around the world. It reveals a graceful connection of Oneness in all. 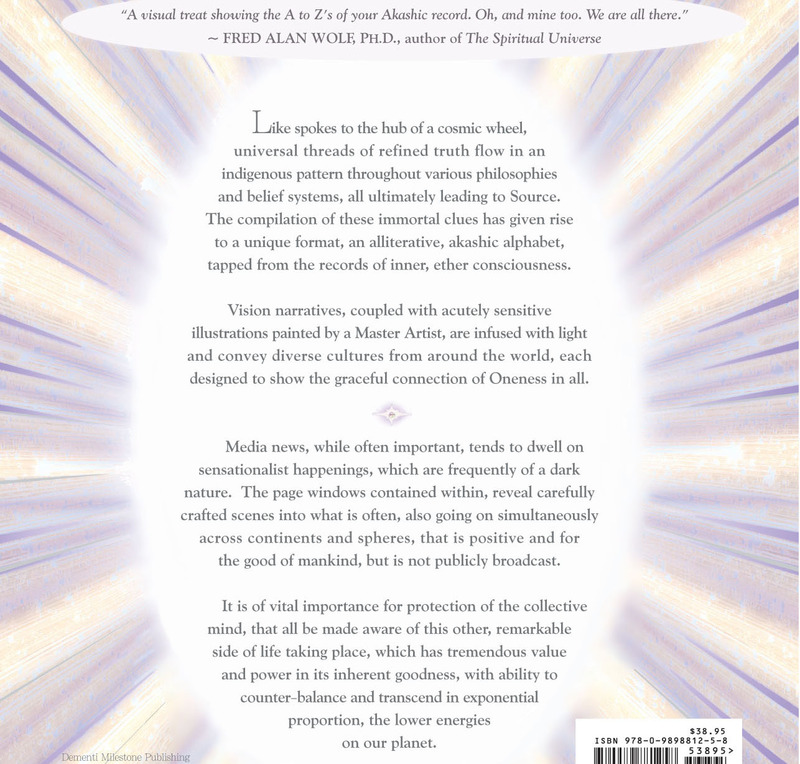 The All are One concept portrayed throughout the book, is based on an expanding theory by top-tiered physicists that all living matter exists in one, vast, quantum field of sub-atomic vibrations in the akasha, or space, between matter and that within this virtual, invisible web of life-energy force, all are connected. Like spokes to the hub of a cosmic wheel, universal threads of refined truth flow in an indigenous pattern throughout various belief systems, all ultimately leading to Source. 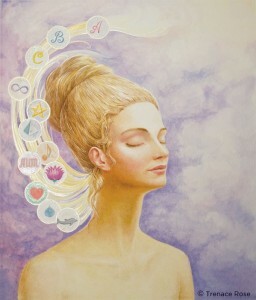 The compilation of these immortal clues has given rise to a unique format, an alliterative, akashic alphabet, tapped from the akashic records of inner, ether consciousness. This one-of-a-kind, research-based, Spiritual-Inspirational Art Gift book of 72 pages, featuring 27 Fine Art Master paintings, is of the highest quality. With a 4-color Dust Jacket, the 12 1/4″ x 10 3/4″ hardcover is bound with white linen Saifu cloth, stamped in silver foil, with silk ribbon marker and specialty-weight pages, offering a luxurious presentation to be treasured. 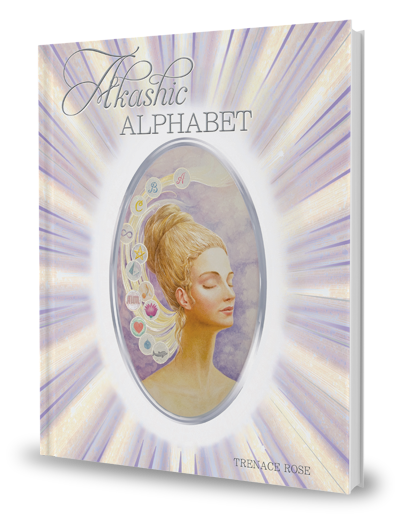 Within the akasha, the space between matter, lies a treasure trove of memories, known as the akashic records, containing a history of the infinite, stored from the origins of time. The wisdom from this resonating, energetic heart, whose fabric connects all humanity, life-forms and elements, is accessible to all with pure intention, through meditation. 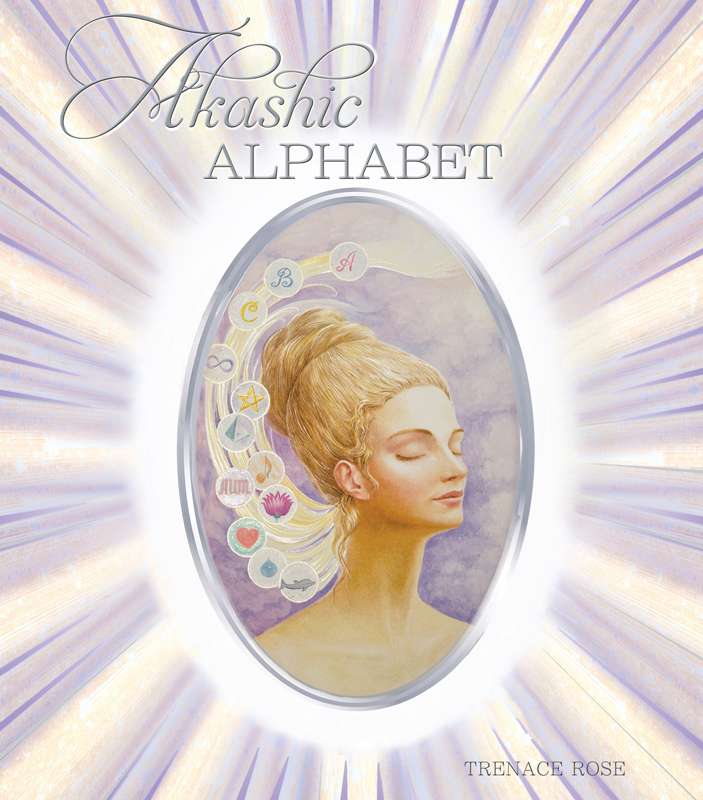 Akashic Alphabet was received in meditation, accessing akashic records housed within the space of the collective mind, the cosmic container of all that is and ever has been.